JUST SOME OF OUR WORK…. 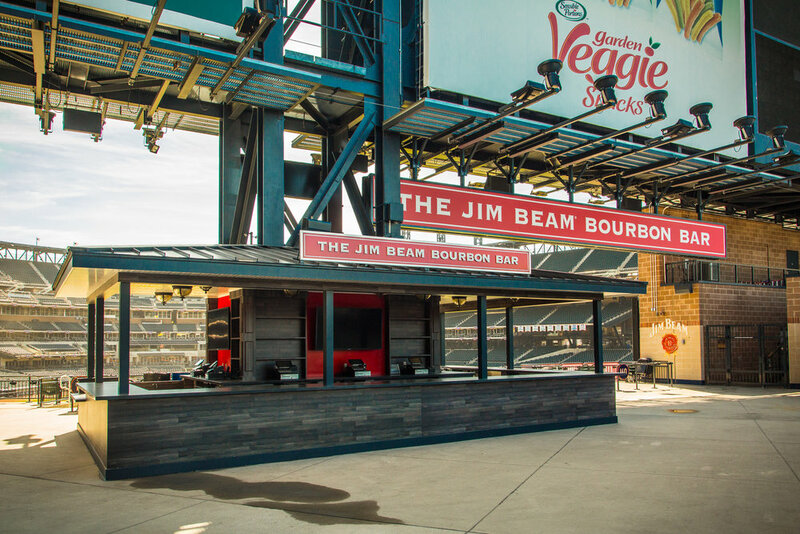 To design and build this larger than life bar we collaborated with The Met’s Citi Field and Beam Suntory. With a deadline of “opening day,” our team managed, designed, built and installed this perfectly branded permanent bar. 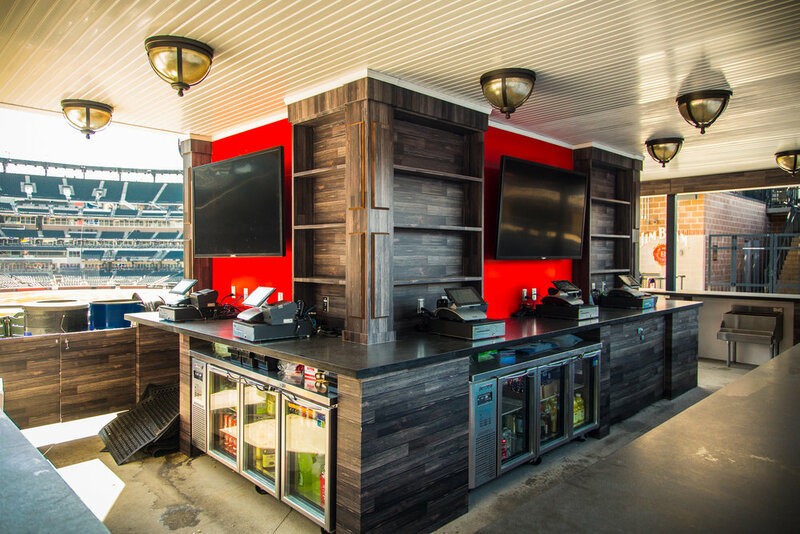 We’re most proud that baseball fans can grab a whiskey while watching the game as the bar is located between ShakeShack and the Home Run Apple in center field. Hope to see you at the next game. 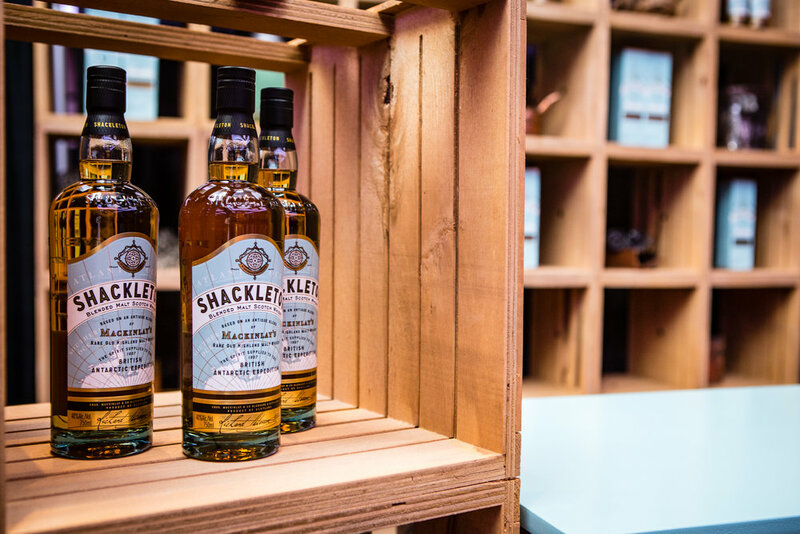 We designed this weathered, skillfully leaning crate display rack to visually tell the brand story of the Antarctic exploration of Shackleton (Whiskey). 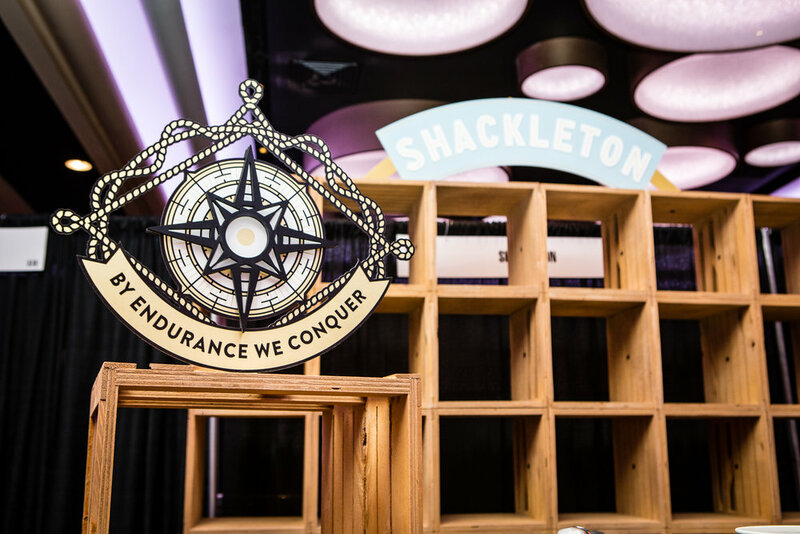 After the initial run we took advantage of the successful design and production run to convert this into an economical and efficient trade show backdrop. 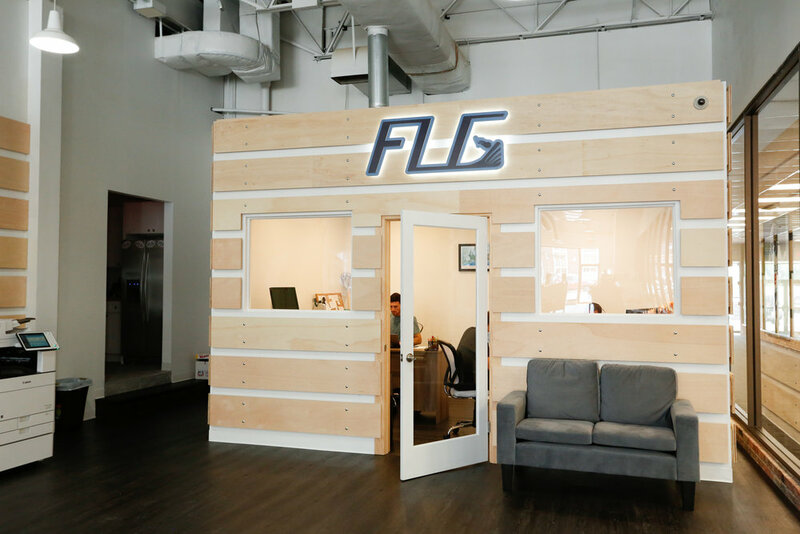 We expanded that initial design to complete the booth and maximize the footprint while keeping the design on brand. We think we nailed it. The trade show attendees agreed. of course part of the appeal for most night club goers. The lockers in La Cava at the Hotel Faena Miami answer this question with deft efficiency. Nine lockers elegantly store a patron’s personal bottle and keep it ready for them to entertain in style as though Faena is an extension of their own home. 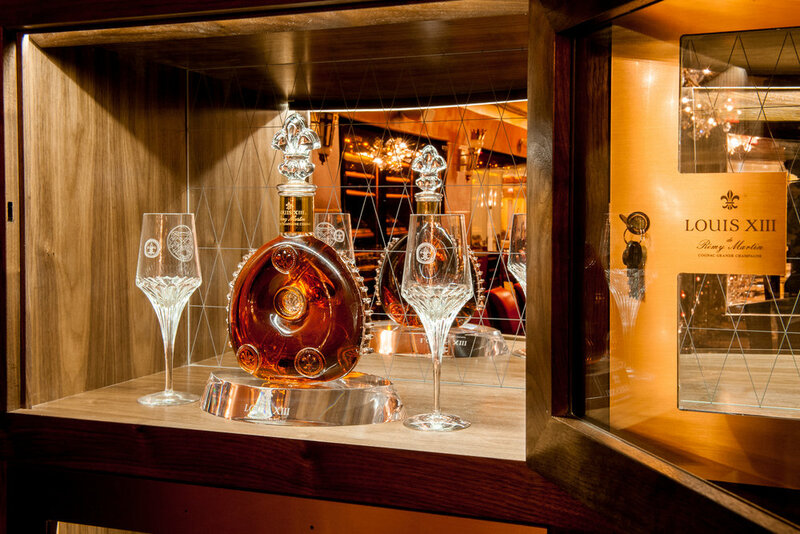 A name plate above each distinguishes who owns each bottle giving a very subtle nod to eight other wealthy individuals that share the love for fine cognac in the hotel’s setting. 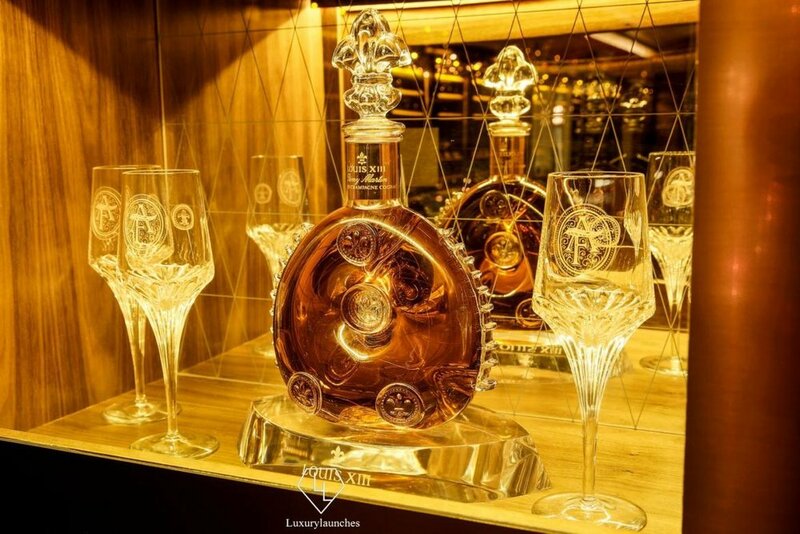 The cabinets were designed to marry the new global brand materials of Louis XIII and the feel of La Cava at Hotel Faena. For instance, the lighting was adjusted on site from the 4000K spec down to a rich, warm hue that suited La Cava. 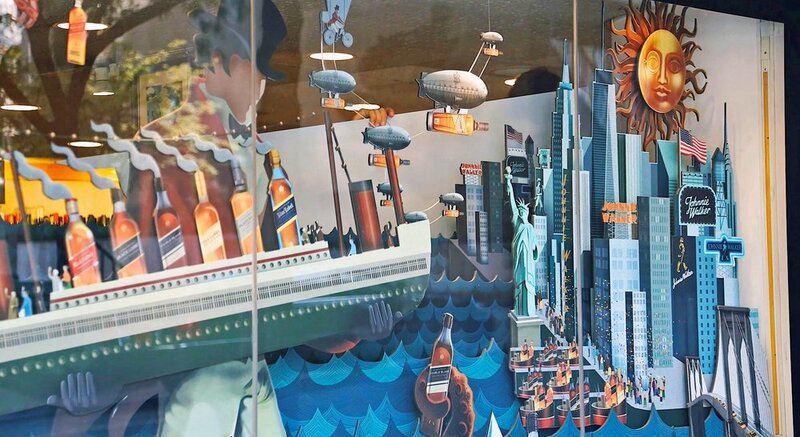 To tell the story of Johnnie Walker’s Journey to America, we collaborated with Love Agency and Adam Simpson who provided wonderful illustrations which we then turned into a mechanized dimensional display. Each window was custom fit with compositions from the art and included dozens of moving pieces like rolling waves, flying zeppelins, and twirling suns. Photos shown are of Winfield Flynn, a prominent street level OOH location in New York, but the displays were also installed at 4 other locations. Absolut asked APK to create a stunning bottle service ritual display piece for use in nightclubs throughout the U.S. and Europe. We designed a peacock-inspired display piece that was aligned with Elyx’s other peacock-inspired marketing efforts. The piece is a combination of materials and contains a rechargeable battery. to light up all night long - showcasing the product and grabbing attention. Informatica had an industry event at the PlayStation Theater in NYC this past January. 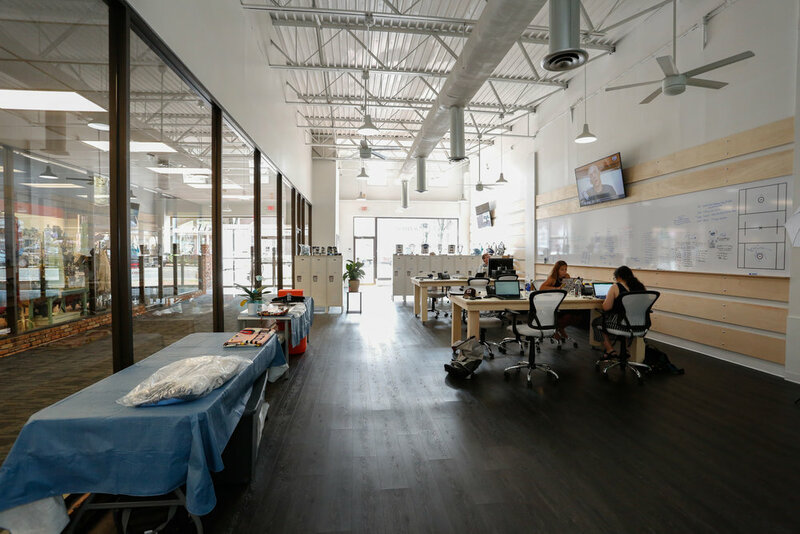 The goal of the project was to brand as much of the venue as possible for the budget on a tight timeline. We fully transformed 3 bars and columns into Informatica branded experiences. We wrapped full floors, walls, escalators, stairways and doors. 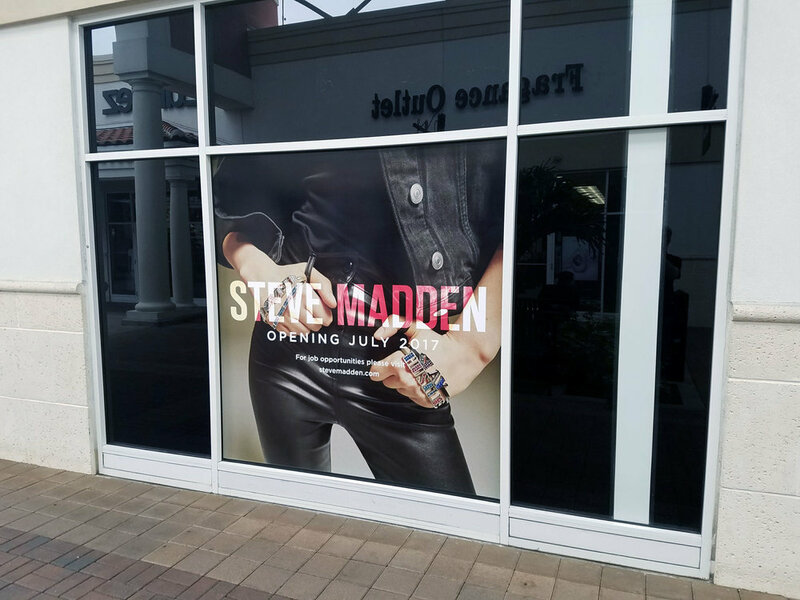 We hung banners and put up over 90 feet of temporary walls. 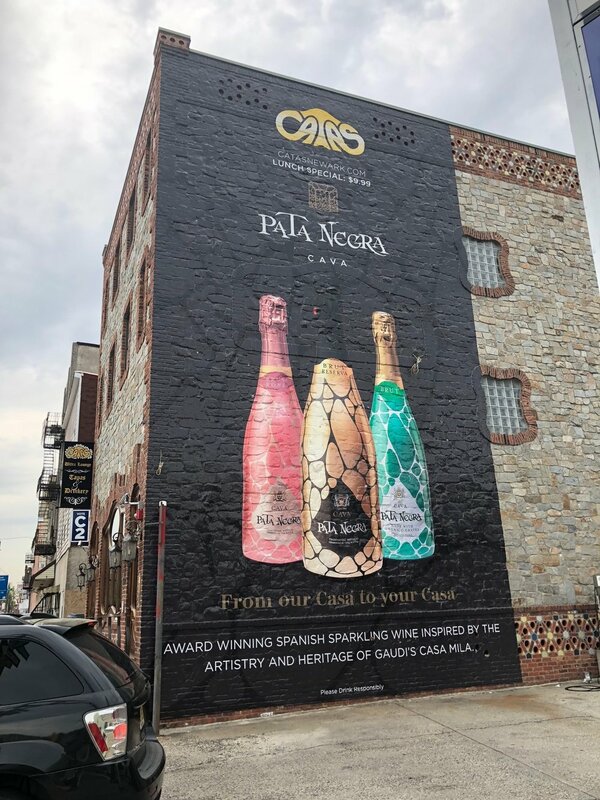 APK nailed the brand colors, came in under budget and blew past all expectations for this client.